Milk thistle tea is an infusion made from a Mediterranean herb that has long been used for its cleansing powers. The ripe seeds of this herb contain an important amount of antioxidants and other components that make this an incredibly healing and detoxifying infusion. For centuries this herbal tea has been used as a form of treatment that is still greatly valued today for the many benefits it provides. Come and learn more about this cleansing tea! Milk thistle, in Latin silybum marianum, is annual or biennial plant related to the daisy and ragweed family that is native to the Mediterranean regions of Europe, North Africa and the Middle East. Much valued for its medicinal powers, it is now cultivated all over the world. This herb may be found under other common names such as Holy thistle, Lady's milk, Lady's thistle, Mary's thistle, Saint Mary's thistle, Marian thistle or Variegated thistle, and under the Latin name carduus marianus. The plant gets its name from splashes of white color found on the leaves, particularly on the veins, or from the milky sap that comes out when the leaves are crushed. Legend says that when the Virgin Mary's milk fell on the leaves of the thistle, the milky white veins appeared on the leaves. This accounts for its many other religious references. Milk thistle is a herb that can grow to anywhere between 30cm to 200cm tall with spiny grooved stems. This herb has a thorny appearance with large alternate leaves that are green and glossy with white veins, toothed with prickly tips. When the leaves are broken a white sap comes out. Between June and August these thistles bloom red to purple cone-shaped flowers that are 4cm to 12cm long and wide. The flowers are ridged and have sharp spines. This herb bears a small, hard-skinned brown shiny fruit, but it is the seeds that are mostly harvested to make tea. Milk thistle may also be found growing unchecked in gardens as it spreads easily much like an invasive weed with colorful flowers. This herbal tea has been used for over two millennia. The first written description of this herbal dates back to the ancient Greek physician and botanist Dioscorides in 40AD. The Europeans were the first to use this herbal tea as a form of remedy for the liver and gallbladder. This herbal was grown in the gardens of monasteries for use in medicinal preparations. And then it was brought to the other continents by the European settlers from the 16th century onwards. Today the plant is found growing throughout the world for its medicinal benefits. The seeds are made into a cleansing tea, whereas the leaves and flowers may be eaten as a vegetable in salads. Milk thistle seeds are often roasted to be used as a coffee substitute. Milk thistle is an herb that is rich in antioxidants and flavonoids. The main antioxidant in this herb is silymarin, which is also an anti-inflammatory component responsible for the most important benefits that this tea provides. This herbal infusion also contains vitamins C and E, important for the healing properties they may provide you. The most important benefit of milk thistle tea is its ability to cleanse and strengthen the liver. The presence of silymarin, a strong antioxidant, in this tea helps to protect, detoxify and treat oxidative damage to this very important organ in your body. It is believed that drinking this tea may help you to regenerate liver cells by blocking and eliminating harmful toxins that make the liver sluggish, fatty and unable to function adequately. Drinking milk thistle tea enhances the liver function, allowing it to better cleanse blood and naturally protect your body from the onset of disease as well as keeping hormonal production balanced. Milk thistle tea may aid in the treatment of the liver from such diseases as fatty liver syndrome, cirrhosis, jaundice, hepatitis and possibly liver cancer. This herbal tea may help regeneration of cells damaged by alcohol, sickness, toxicity brought on by consumption of steroids, and excessive ingestion of fats. Common medications prescribed by doctors, such as anti-inflammatory drugs, anti-depressants, cholesterol reducing medication often take a toll on the liver. To help counter this side effect, and with the approval of your doctor, consider drinking milk thistle tea regularly. 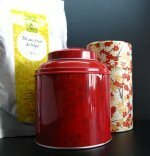 This herbal tea may also protect the liver from chemical or natural poisons. It is supposed to protect the liver from synthetic chemicals, heavy metals or radiation. At the same time, it protects the liver from poisoning by amanita or death cap mushroom. A cleansed liver may be essential for dealing with nervous disorders, to help keep the mind calm during withdrawal stages when cravings may hinder your efforts. This herbal tea may be used in situations of alcohol, nicotine or drug withdrawal. Milk thistle tea may also help you recover from fatigue, lift the spirit and manage better the symptoms of depression. This infusion may also enhance the mental function, helping to keep headaches away, preventing degenerative diseases such as Alzheimer's disease, Parkinson's disease or multiple sclerosis. The main antioxidant present in this herb, silymarin, may help to keep the symptoms of diabetes in check, giving you more control over your glycemic levels. Drinking milk thistle on a regular basis may help if you suffer from type 2 diabetes. It is said that this herbal tea lowers the body's resistance to insulin and therefore also lowers blood sugar levels and bad cholesterol. The liver is the organ responsible for releasing insulin into your bloodstream, so when you drink this tea to cleanse and detoxify the liver you are also improving this very important function. Note: if you are taking medication for this illness it is important to talk to your doctor before taking this tea as you medication may need to be adjusted. Milk thistle tea may help when you suffer from digestive distress. Drinking a cup of tea before meals may help your stomach to function better, stimulating bile and enzyme production and preventing indigestion or heartburn caused by a sluggish metabolism. This herbal tea also functions as a mild laxative, helping to flush out the intestines of accumulated toxic wastes. It cleanses the body and helps the whole digestive system to work better. A cleansed body and a good functioning metabolism are key to losing excessive weight. This is why milk thistle is thought to help fight obesity. The way it also tunes the liver helps the whole body to remain in balance and process fats better and in a healthy manner. Milk thistle herbal tea may also help other digestive organs such as the spleen, the pancreas and the gallbladder. It may help to remove toxins and wastes that could form into stones and block these organs. Taking milk thistle on a regular basis may prove to be helpful for your heart. It contains linoleic acid, which may possible prevent heart disease. This herbal tea may help to lower bad (LDL) cholesterol and triglyceride levels reducing the risk of blood clots and heart attacks. Another good thing about this tea is that it is said to help boost the levels of good (HDL) cholesterol in the blood, which actually functions to help prevent the rise of bad cholesterol. Drinking milk thistle tea also strengthens blood vessels and reduces the risk of circulatory inflammation thus preventing heart disease or stroke. This tea provides a cleansing action, clearing the blood of foreign harmful agents. The cleansing action of milk thistle tea extends to the bladder and kidneys, helping to flush toxins that could be at the source of disease and irritation. This tea may also help prevent the formation of kidney stones and other kidney ailments. By helping your liver to function properly, milk thistle tea may be ideal to regulating and balancing hormonal production. This could be very important when you suffer from dysfunctions in the reproductive system. For women going through menopause, most symptoms that greatly disturb you, such as hot flashes, night sweats and mood swings, may result from hormonal imbalances. The estrogenic effects of milk thistle may make your life much easier and provide you with more restful sleep. Antioxidants present in milk thistle tea may also help women who suffer from menstrual dysfunction and require help to regulate their periods and reduce the effects of PMS that are often associated with hormonal issues. It is said that this infusion helps to promote production of breastmilk, but you should only try this for of treatment with the proper supervision of your doctor to make sure that there are not side effects for your baby. This tea may be also useful for men, helping to treat enlarge prostate, known as benign prostatic hyperplasia, or with infertility. Milk thistle tea is an antiallergenic infusion that may help you during the allergy season. This herbal tea serves as an anti-histaminic, relieving seasonal allergic or hay fever reactions and alleviating headaches brought on by congestion and breathing difficulties. When you have a cold this tea is also good for you as it may promote sweating and lowers fevers. Drinking it may ease breathing and relieve congestion. If you suffer from asthma, have a cup of this tea to soothe the spasmodic reactions and help open up the passageways so that you may breathe easily and calmly. 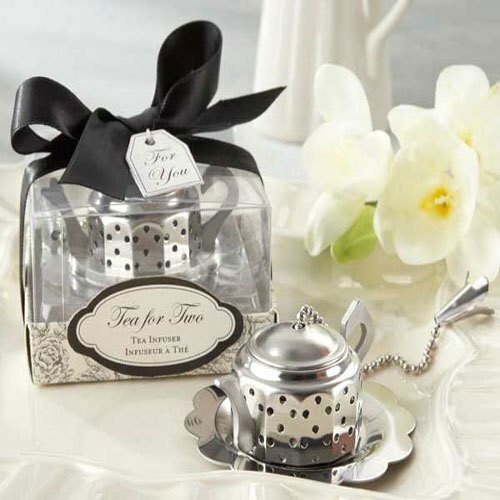 Rich in antioxidants and vitamins, this herbal tea is said to help boost your immune system, allowing you to recover faster from illness and general debilitating states. By drinking this tea, you will help to cleanse your body of toxins and bring back energy and vitality. A cup of milk thistle tea may help your battle against fungal infections. The main component of milk thistle tea is silymarin, a powerful antioxidant that may help reduce the risk of cancer. It is said that drinking this tea may help to prevent the damage and mutation caused to DNA by stress, pollutants and chemicals that surround us every day. Studies are being conducted to assess the ability of this herbal tea to not only prevent the growth of tumors, but also reverse and inhibit this growth. It may be especially powerful against forms of prostate, skin, breast and cervical cancers. Although further studies are required, it seems that drinking milk thistle tea may help to stop cancerous cells from reproducing, shortening their lifespan and reducing the blood supply to tumors. Talk to your doctor about this tea, particularly if you are undergoing treatment for any form of cancer. There may be synergies between ingesting milk thistle tea and chemotherapy treatment. Medication may need to be adjusted. This herbal tea may be used as a facial wash to clear way toxins and cleanse problematic areas of your skin, reducing spots and smoothing wrinkles and lines. It may also be used to treat boils or varicose veins. This cleansing tea, when removing internal toxins from your body and boosting its defenses, also protects your skin from harmful agents that could lead to premature aging or even skin cancer. This tea may also help to clear away psoriasis and acne due to its ability to help remove toxins from the bloodstream. Would you to have a sip of milk thistle tea now? When drinking any herbal tea in medicinal quantities you should always talk to your doctor first to make sure that this is the right tea for you. You should keep in mind the following information. In some cases this herbal tea may cause diarrhea or slight headaches. In rarer cases, you may experience gastrointestinal difficulties such as nausea, bloating, gas or an upset stomach. Milk thistle tea may be taken over long periods of time, but make sure to get checked by a doctor with some regularity. You should not take any tea medicinally any more than you need to. This tea may bring down blood sugar levels, so if you have diabetes or taking medication for blood sugar, make sure to monitor your sugar levels properly, and talk to your doctor about possibly adjust your medication. If you are pregnant or breastfeeding then you should not drink this tea. There is no indication that this herbal tea would be safe for you at this stage, there may be unforeseen side effects that could lead to a miscarriage. It may affect the properties of your breastmilk so do not try this treatment without supervision of your doctor. If you are taking medication, for example cholesterol lowering or estrogen medications, then it is best to avoid this tea as the pressure on your liver may prove to be damaging and serious alter the potency of your medication as well as your body's ability to absorb it. If you have a history of fibroid tumors or endometriosis, then it is best to search for an alternative solution. This tea is also not recommended for women with breast, uterine or ovarian cancers, as this tea may interfere with chemotherapy medication. Be aware that if you are allergic to flowers like chamomile, chrysanthemum, or ragweed, then you should not drink this tea as you are more likely to develop an allergic reaction to it. Symptoms may present themselves in the form of a rash or difficulty breathing and swallowing. Milk thistle tea should not be given to children as there are no studies that prove that it is safe. Herbal medications should only be given to children under medical supervision. It's time to head to the kitchen and learn how to make milk thistle tea. This herbal tea is usually made from milk thistle seeds and leaves. There may be other recipes that call for the roots or the whole herb. Start by crushing the seeds in a mortar until you obtain a fine powder. You can either purchase the seeds already crushed, or do this at home to get all the freshness from the seeds. Place about 1 tablespoon of milk thistle in a teapot and then fill it with 3 cups of boiling water (approx. 750ml). Allow the infusion to steep for about 20 minutes. Strain and drink about 3 cups per day, preferably before meals to improve your digestive problems. This is a tea with a malty and smooth flavor. Some people consider it sweet, while others think it is bitter, so add a little honey if you feel the need to sweeten your tea a little. 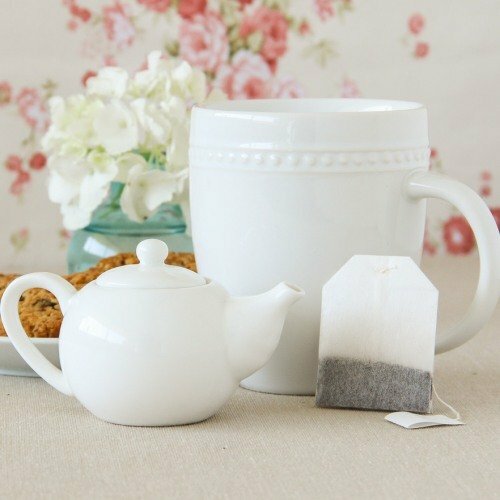 Here are a few additional tips to make drinking this tea an even better experience. To quickly grind the seeds into a powder, use a regular coffee or spice grinder. Just make sure to clean it from any previous residue. Blend milk thistle with peppermint to boost the effectiveness of your tea as well as improve its taste. Make sure to store your seeds properly and if you have bought ground milk thistle don't expose it to air or light. To help your liver, you may blend milk thistle with fennel seeds or cleavers. And if you add dandelion to your tea it may also calm your stomach. Buy Your Milk Thistle Tea Today! Click on the image or on the links below to purchase from Starwest Botanicals your Milk Thistle. Start your detox regime with this herbal tea. You can make your tea with these organic seeds or leaves. For convenience you may purchase the powdered form, but remember to use it quickly and store it properly. 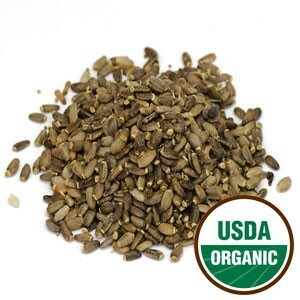 Buy your milk thistle seeds! Lead a cleansed and healthy life free from toxins and pollutants with a regular cup of milk thistle tea.